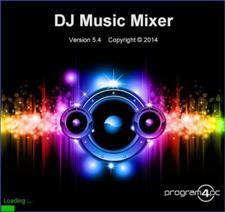 It is a full-featured DJ and beat mixing system which lets you groove to your own style of DJ music. One feature which sets this music mixer apart from all its rivals is that it includes two independent decks which equipped with no less than professional sound quality. You will have a beat-sync display, pitch controls, and fast-seek modes. The cross fader for manual music mixing and an auto fade adds that little touch of style and functionality which so many other audio mixers lack.